Delicious chips and tots!The greens in the salad were fresh. 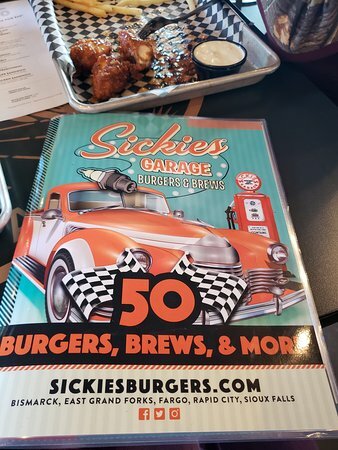 50 BURGERS, 50 BREWS & MORE Sickies Garage Burgers & Brews is a North Dakota grown, award-winning restaurant offering a wild variety of freshly made extreme burger creations and craft beer pairings. 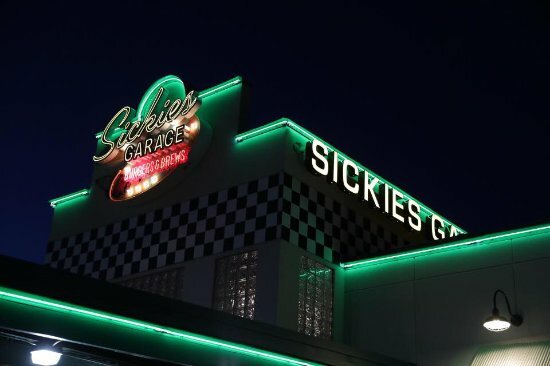 Founded during 2014 in Fargo, ND, Sickies Garage now has 5 locations across North Dakota, South Dakota, and Minnesota. Really enjoy the variety at this place, both beer and the food menu. Decent prices and quantities as well. Great malts too, which aren't terribly common to begin with but they do them well. Thank you so much for your great review! Please give us the opportunity to serve you again soon! Wow what a selection of food and the perfect beer to match! Staff was great and for sure left full!!! Thanks so much for your kind words. Hope to see you again soon! Interesting selection of burgers and wings. Large offer of draft beers and very good margaritas. Large bar area. Nice bartenders. Thanks! We appreciate the review and hope to see you soon! Always a lot of fun for our entire family ages 9 on up! 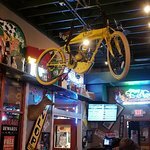 Great food whether ordering a favorite or trying something different! Great food, Burger selections for everybody. Excellent service. Sometimes a wait but worth it. Usually not as long as they tell you. 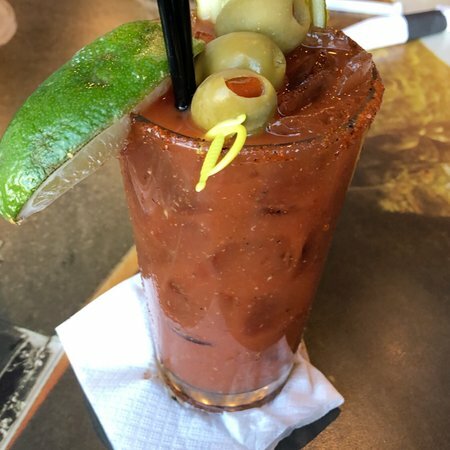 Great food, great service, every time! Best burgers in town, excellent wraps. Kind, quick service every time. Never disappointed. 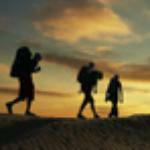 Would recommend to all. Thank you so much for allowing us to serve you, archangela75. Till next time! Great Food, Lots of it! I appreciate your feedback, generalg2, and look forward to serving you again! We come here often and enjoy it every time. 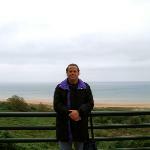 This visit was no different! Tried one of the new Kobe burgers and it's now one of my husbands favorite burgers ever! Great service and a wonderful selection of beer on tap! Happy to hear it! See you soon. 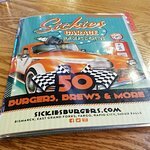 The food and service is always excellent when we stop at Sickies in Rapid City. It’s never a long wait for our food and it’s hot and delicious. Love eating here!!! The restaurant is always clean and the people are always friendly!! I appreciate your feedback, Angela B, and look forward to serving you again! 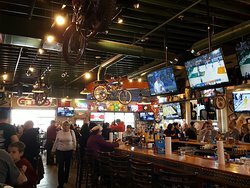 Get quick answers from Sickies Garage Burgers & Brews staff and past visitors. What are the vegan options? Is there a vegan menu? Is there a kid's menu?